Our face is the first thing that people notice about us. It helps us to convey emotions, both happy and sad. Sometimes, our jobs even depend on the use of our face, especially if you’re in the entertainment business. So, what if one day, you awoke without the ability to move half of your face? For Noah Harpster, an American television and commercial actor, this story is all very real. 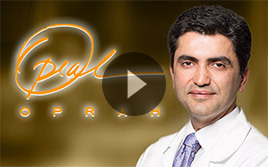 Dr. Babak Azizzadeh, director of the Facial Paralysis Institute in Beverly Hills, aims to enlighten his patients on the treatment and education involving Bell’s palsy. 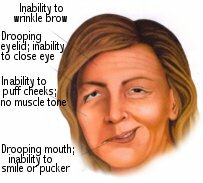 Bell’s palsy is a common form of facial paralysis that can affect people of all ages at any point of their life. If a patient suffers from acute facial paralysis, they need to seek immediate medical attention to make sure that no serious issues are causing the paralysis, which need medical treatments. 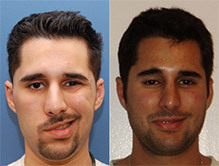 The majority of Bell’s palsy cases resolve by themselves over time. 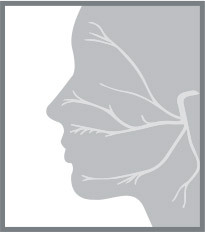 However, patients experiencing facial paralysis lasting for more than three months should visit a facial paralysis expert in order to determine the best treatment plant for the patient’s unique condition. Even though researchers and physicians are not able to pinpoint why Bell’s palsy occurs, it is now widely believed that the virus that causes common cold sores, named Herpes Simplex Virus type 1, hides in the facial nerve cells. 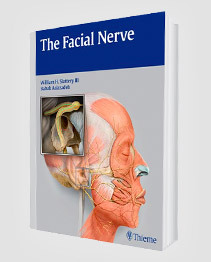 When the facial nerve is inflamed, the messages sent to the brain become halted or misinterpreted, therefore resulting in paralysis of one side of the face. Noah Harpster, a successful television and commercial actor, has recently become afflicted with a type of facial paralysis known as Bell’s Palsy. In Noah’s case, this isn’t only affecting his ability to work, but also bringing stress on his family life, as being a member of the Screen Actor’s Guild and qualifying for health insurance means one must earn a certain amount of money in a given year. When Noah became ill with the condition, he was $5,000 short of this quota—which would usually be no problem, though his Bell’s Palsy was making it nearly impossible for him to secure acting jobs. To assure that his family would get to keep their insurance, Noah came up with an idea—he reached out to others to donate thousands of dollars to make a short film about an actor suffering with Bell’s Palsy, much like him. This would constitute as Noah working as he is actually going to go through with the film, meaning that the SAG will allow him to keep his health insurance. Through the help of those on the Internet, Noah was able to raise more than $8,000, which put him well over the necessary quota. Many who experience Bell’s Palsy are unaware that there are in fact treatments that can be very beneficial when dealing with a long term problem that hasn’t gone away in more than six months. Dr. Azizzadeh aims to provide his patients with the best treatment and care possible at all times. If you would like to schedule your initial consultation today with Dr. Azizzadeh at the Facial Paralysis Institute in Beverly Hills, please contact us by calling (310) 657-2203 today. Dr. Azizzadeh has an extensive knowledge and a unique background in the understanding of facial paralysis and the facial nerve. For more information, please contact the Facial Paralysis Institute today.